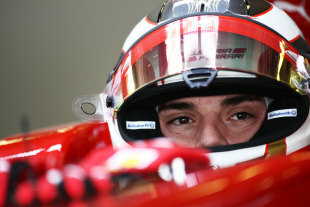 Ferrari reserve driver Jules Bianchi thinks he is ready for Formula One but admits he is not sure what 2012 will hold. Bianchi was at the wheel of the 2011 Ferrari at the Abu Dhabi Young Driver Test on Tuesday and has another two days lined up this week as part of his test driving duties for the team. He is one of the most senior members of Ferrari's driver academy and is managed by Nicolas Todt, who also looks after Felipe Massa's affairs. Seats for 2012 are running out fast but Williams shareholder Toto Wolff recently mentioned Bianchi as a possible driver for next year, and on Tuesday Bianchi said he feels ready to step up to F1. "Honestly, I don't know what I will be doing next year," he said. "My aim is to get into Formula One. I feel ready and, along with Nicolas, I will do all I can to get there. Disappointed with my season? A bit, because the aim was to win the GP2 title and unfortunately I ended up third. The early part was very bad, with too many mistakes, but then I redeemed myself. 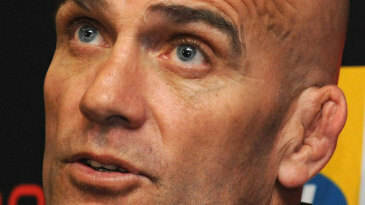 All the same, finishing two consecutive championships in a podium position is not that bad is it?" Bianchi said he enjoyed working with the team on Tuesday after completing 85 laps at the wheel of F150 Italia. He set the second fastest time behind Red Bull's Jean-Eric Vergne and focused on aerodynamic work in the morning before refining the car's setup to his liking in the afternoon. "I would say it was a good day, especially this morning when we worked mainly on aerodynamics," he said. "From a driving point of view it was not particularly fun to do, however it was very important for the team and is part of the job of being a test driver. In the afternoon, we made adjustments to the car to adapt it to my driving style and so I was able to push a bit, but the most important thing is that were able to do a lot of running without any problems."